On Lûmé's website, it says, "Some circumflexes appear for no known reason". Circumflexes are a bit of a leitmotif in the branding, so I take that as the founders keeping things fun and light hearted - pretty clever, as the food is unapologetically high-end. The restaurant is beautiful, so much so that I'm compelled to post a photo that I didn't take. 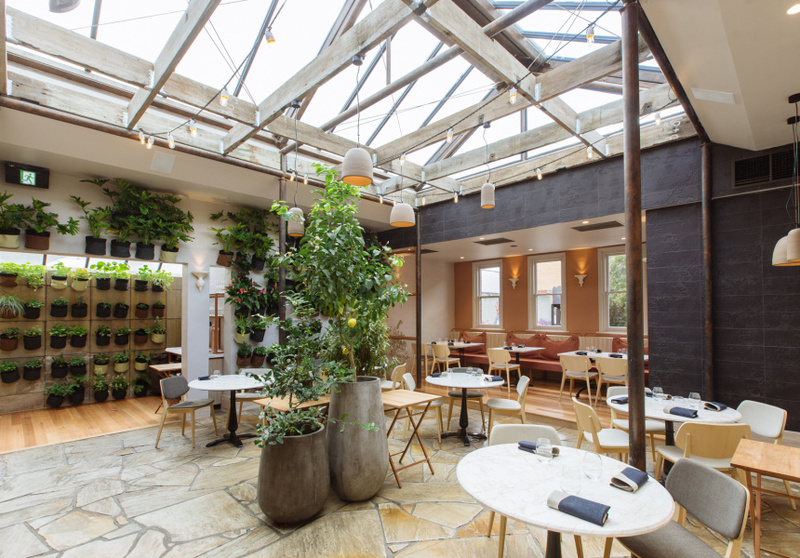 It's designed by local Melbourne firm Studio Y - I'm not going to pretend I know anything about them, but it looks like they do a lot of hospitality spaces and each one is pretty different. Lume has walls that range from peachy pink to dusty plum, and there's quite a bit of copper, light linen-y fabrics and pale timbers. Most importantly, there's plenty of natural light - the skylights in the degustation dining area were stunning, and the atrium at the back has a Scandi-meets-Italian farmhouse feel to it. It's just a gorgeous place to be in and a very welcome change from the industrial/raw aesthetic preferred by the current(ish) generation of restaurants. It did get me wondering about how the pink walls would age though - only time will tell. As you can see in the photo, there's a herb wall at the back - it's not just for show - we were told that the nasturtiums we ate were picked there. While scanning the interwebs about the restaurant after our visit, a few things seemed to be on repeat. 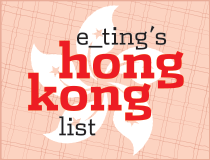 One, that the founders - two chefs and a somm - all have impressive CVs (one of the chefs, JP Fiechtner, is reported to have worked at Bo - HK connections FTW! Although Bo... hmm...), and two, that photographs are discouraged. I had no idea about the latter as I snapped away quite happily, unobstructed, and either I was obnoxious enough not to have noticed any disapproving looks, or there weren't any. I mean, I didn't pull out a reflector board or anything, and I didn't use flash (because it was lunchtime and the natural light from the skylights were just so beautiful) hell, I didn't even bring my DSLR, so I guess I wasn't being sufficiently annoying to be shut down. Anyway, the food. 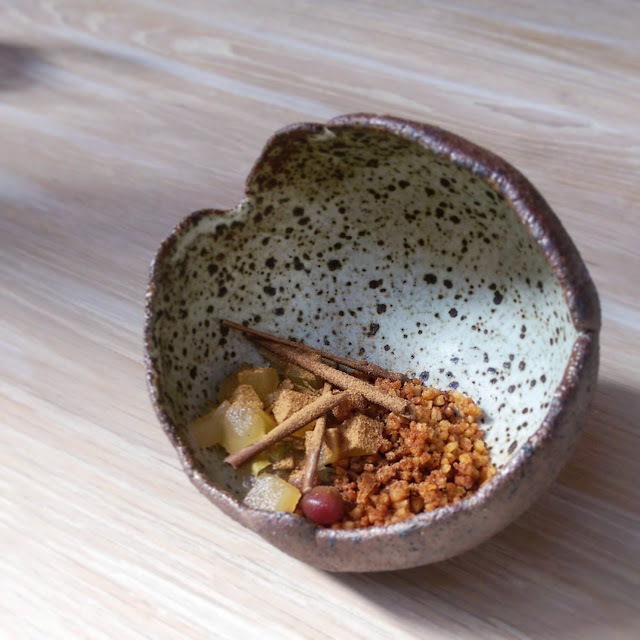 Lume offers a degustation, but also an a la carte in the front room and bar. 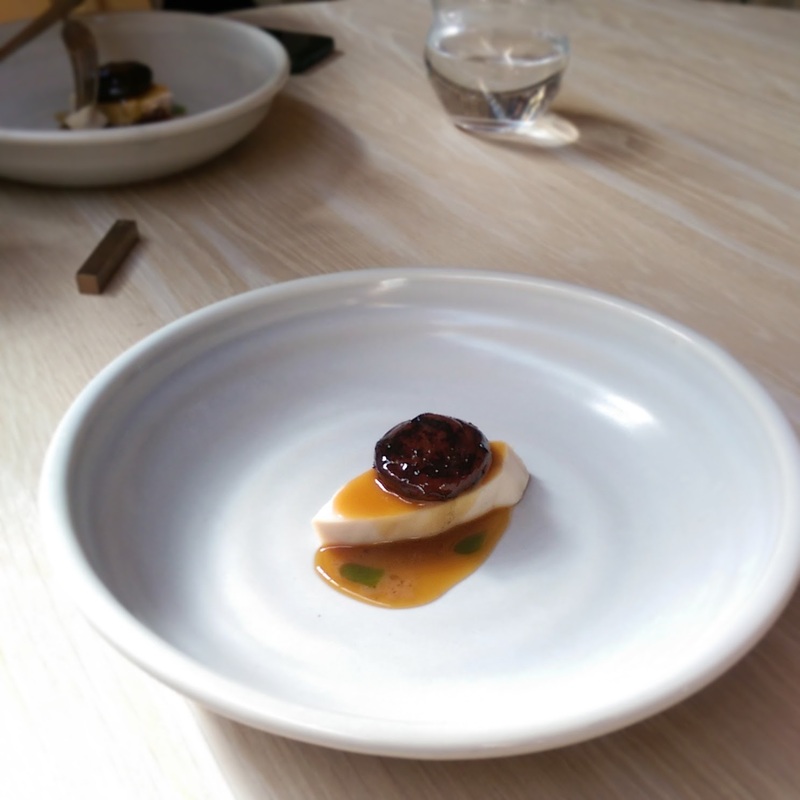 We went for the degustation, and I counted 15 courses. Flow-wise, things were pretty fun, as it didn't seem to follow any sort of pattern - usually it's a series of small things with increasing intensity of flavour, a cleanser before the hearty meat courses, then sweet things - but that wasn't obvious in this meal - I mean, we were given bread towards the end of the meal, in between a meat course and a savoury-sweet boudin noir course (lambs blood in the opening pic) that I could classify as charcuterie or a starter. Basically, it meant that I never knew how far along in the meal we were, and that was fine, refreshing even. 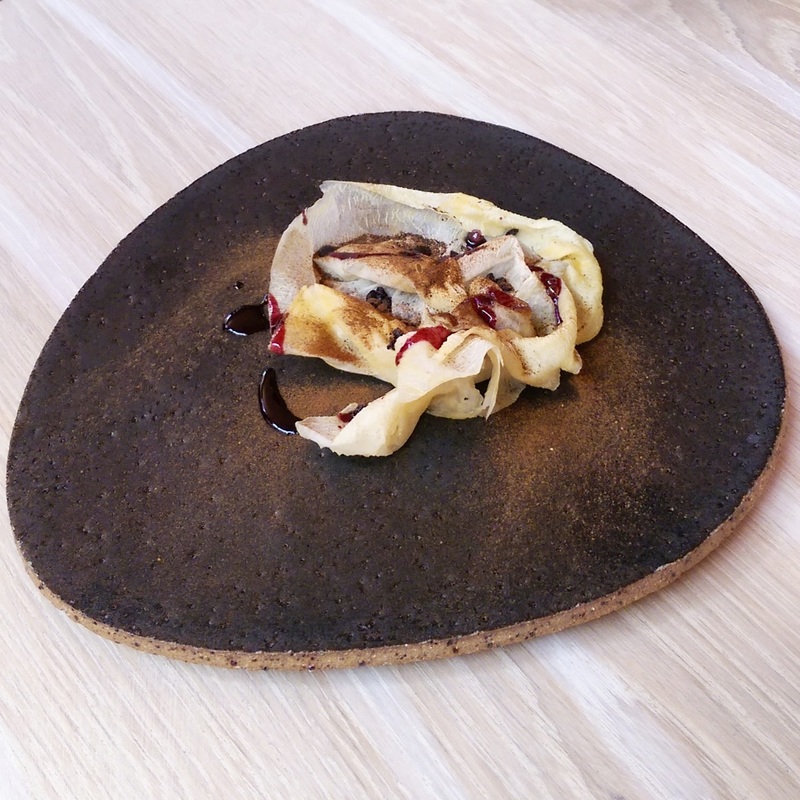 Each dish was introduced, sometimes in more detail than others, and a menu was given back to us at the end of the meal. 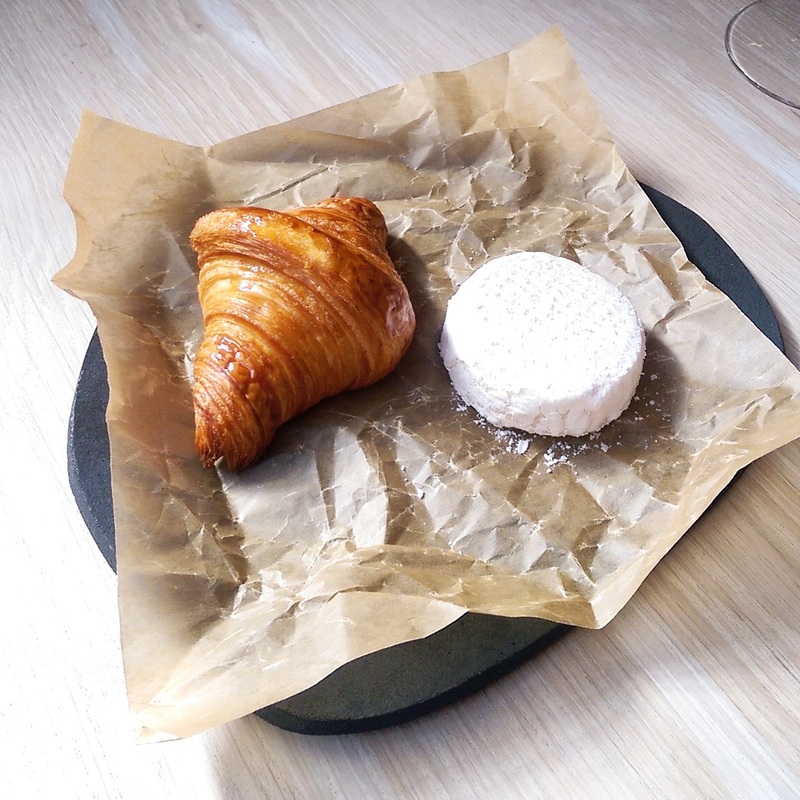 It was interesting comparing what we were told with what was printed on the menu - for instance, the first bread course was described to us as "steamed brioche", whereas on the menu it was an arguably less inspiring, but nonetheless accurate "dough". I wonder if servers are encouraged to come up with their own interpretations. 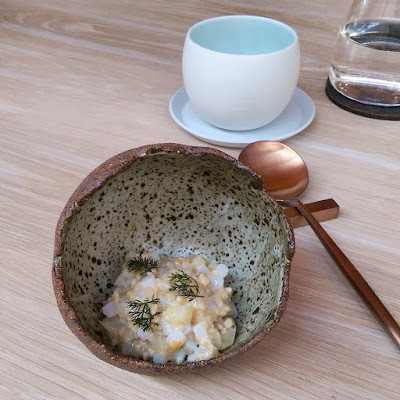 Calling what is essentially an oat porridge "congee" seemed a bit of a stretch to me, but artistic license and whatevs. We were told to mix in the inky mousse at the bottom and generally speaking it was a nice, savoury, seafood-y breakfast porridge. I got whiffs of something super fishy (in the not-so-good way) but it tasted fine. I'd say this "fine" sentiment pretty much sums up how I felt about the meal. This daikon jerky was the non-raw-meat substitute for the native bird dish, as G doesn't eat raw fish or meat. It was nice and technically correct of them to have not given him the bird (assuming it was cured without any cooking processes) but my non-foodist husband actually does eat cured meats, so we swapped dishes half way, and I found myself appreciating the daikon more than he did. The dehydration had made it much sweeter, making it a strong enough match for the white miso (the powder, I presume), although for both dishes, I'd say they erred on being too salty. The salt issue presented itself again with the hen dish later - we were told the sauce was the star of the show, and it was thick, glossy and flavourful, but it was too concentrated and/or salty - I couldn't taste the chicken anymore. 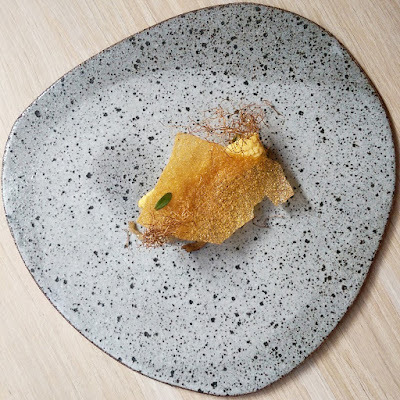 Probably, for me, the most impressive dish of the degustation. 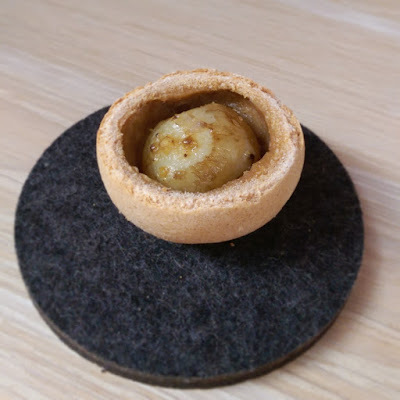 Every component tasted of the sea, from the pearl, a hard, slightly sweet shell with ice-cream inside that reminded me of crunching on shells as a kid (what do you mean, you didn't put stuff you found in the sand into your mouth? ), to the oyster (although its impressive size meant I needed to cut it up, which means I lost the lovely slippery feeling of it sliding down my throat), to the sea grapes and what I think is sea blite (the succulents). It was served with a scene-setting introduction of imagining we were by the sea - and it worked. The oceanic theme continued in the form of raw diced scallops. 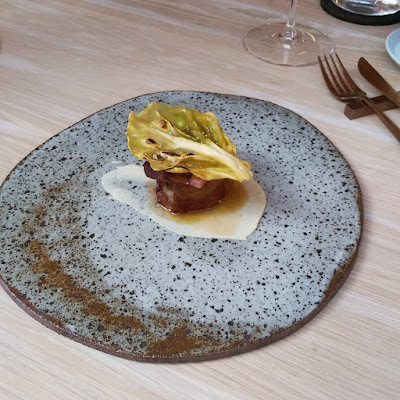 Fortunately or not, the jamon flavours were incredibly powerful - an "umami bomb" as promised - but the sweetness one usually associates with good scallops was nowhere to be found. I even tried picking a bit of scallop out and eating it on its own, but got nothing. 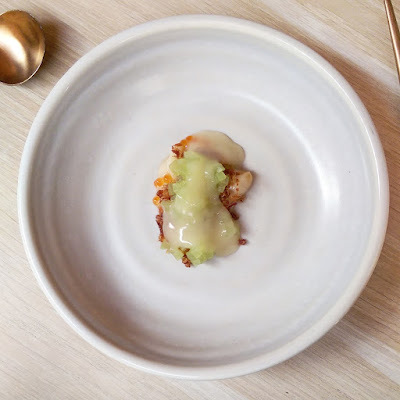 (And textually, these certainly seemed like good scallops - creamy and dense (rather than, say, watery) but still with a bit of bite). It was a delicious dish, but the ham was so intense, it really could have been paired with anything - I thought it was kind of a waste of this would-be beautiful combination. 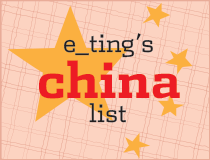 If I take a break now, this blog post will probably stay unfinished in my draft box forever, so I won't go into a lot of detail about each dish. I will need to talk about the leaf (endive?) on top of the lamb though. The lamb was cooked to perfection and super-juicy, and the leaf provided just a little bit of bitterness that was just right, and really quite well thought out in terms of introducing "surprising" flavours, but I had one issue with it - the texture. It was dehydrated somehow and while the leafy bits were dried out and crisp, the stalk was not. It was in that half-dried, chewy, tough state. Too tough to cut, too dense to fold. I wasn't sure what to do with it. It took a bit of wrestling but I got it in my mouth but that texture was really distracting. 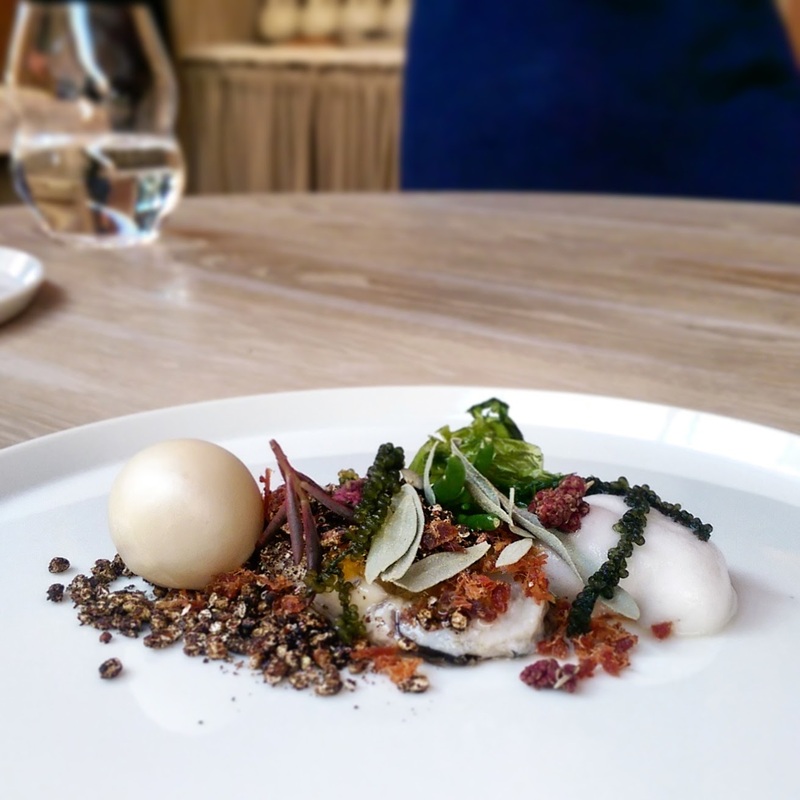 I know I sound like a nitpicking b*tch, but truth is, they're doing extremely meticulous, technical food, and thinking really carefully about flavours and ingredients (eg. 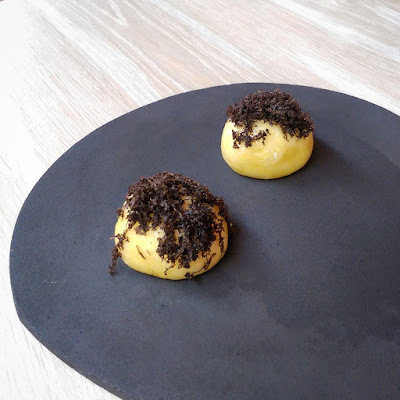 savoury desserts, oceanic umami, bitterness), which is awesome, but when something's awesome and just a little tiny bit away from greatness, you want them to get there. It's like when you get 99% in a maths test, and you lost that 1% because you forgot a stupid ± sign (as you can tell, this really happened to me). I think I read in various interviews with the founders that they're out to earn a spot in the 50 Best and the like, and you know what, they might. 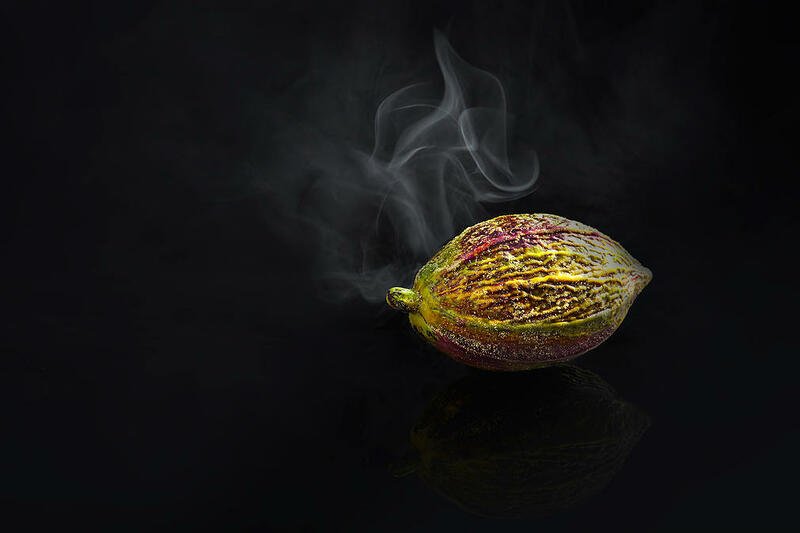 There are loads of interesting things being done with the food (and actually, wine) here, especially the use of native Australian foods ("bush tucker", if you must) and undergoing extremely time consuming, custom-developed processes like curing. Cured yolks are one of those things I wish more people did - this was a perfect example, with a lovely gooey texture and a subtle smoky earthiness that I would think came from tea - although I may be mistaken. The subtlety was hard to find, however, in the intense saltiness of the sauce, as mentioned earlier - bit of a shame. Smoke seems to be a recurring theme on this menu - I love a bit of smoke as much as the next person (in fact, probably more than the next person - hello, Ardbeg) but after a few courses with varying levels of smoke, I was kind of smoked out. I wanted more freshness, more brightness, more acidity - and I was lucky to have had my glass of very, very light experimental Pinot Noir from Geelong. So experimental, in fact, that it didn't have a label and I needed to ask for an explanation - rather cool to hear about somms' relationships with local winemakers, and interesting to see a wine list listed by region - it's common for European sections of wine lists, but to see it for Australian wines too was really nice - it shows an appreciation for place of origin (okay, okay, terroir), so often forgotten when talking about Australian wines. There's a hint that the meal is coming to an end with the whimsical Coventry truffle (the restaurant is on Coventry St) mirroring the truffle brioche with which we started the meal. 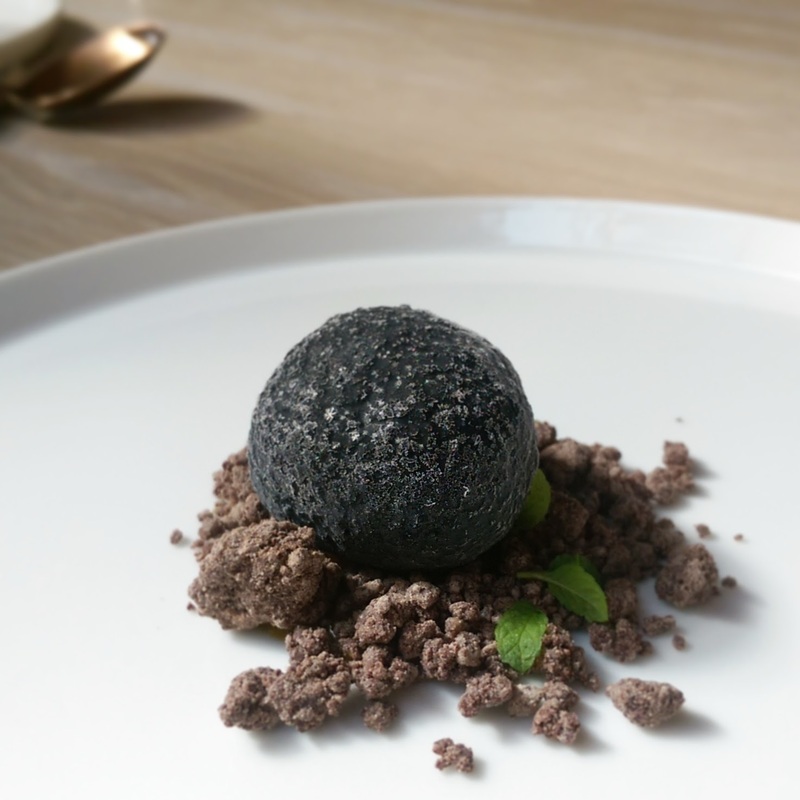 This was a truffle ice cream with mandarin gel and chocolate soil/mud pellets. 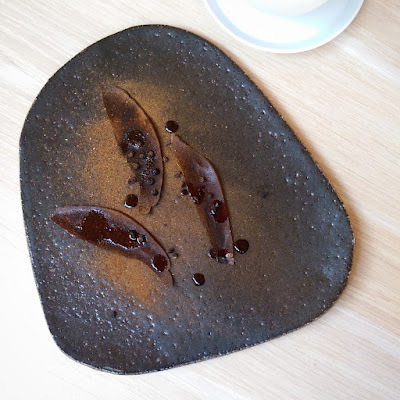 The chocolates in the meal were especially delicious - the cacao "pod" in the final dessert tasted amazing - delicate, refined texture, intense and almost fruity flavours. 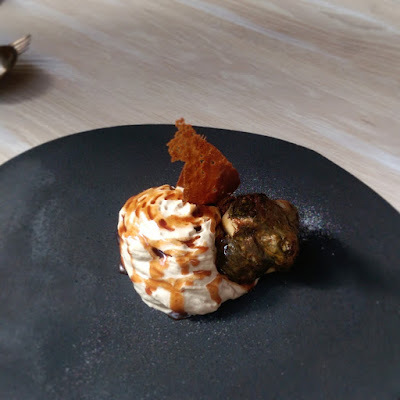 This dessert - I suppose you could call it that, although I really like that it's not a traditionally sweet dish - is part two of the little salt baked Jerusalem artichoke dish and while there is some connection, the star of the show is the pork fat caramel. It tastes like liquified caramel-dipped chicharrones - that's my best interpretation of it. I want it on everything. 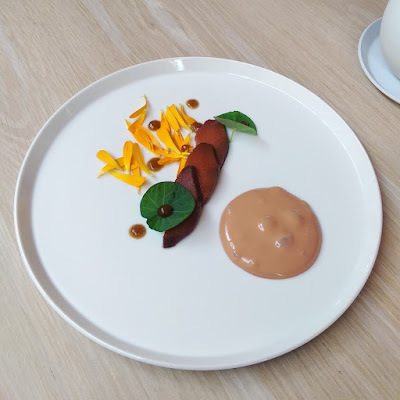 The final dessert is the cacao pod, but I didn't manage to get a photo of how fabulous it looked before it was (equally fabulously) smashed by what looks like the World's Most Elegant Copper Tuning Fork, so I've taken a picture from the restaurant's website. It really does look this amazing. 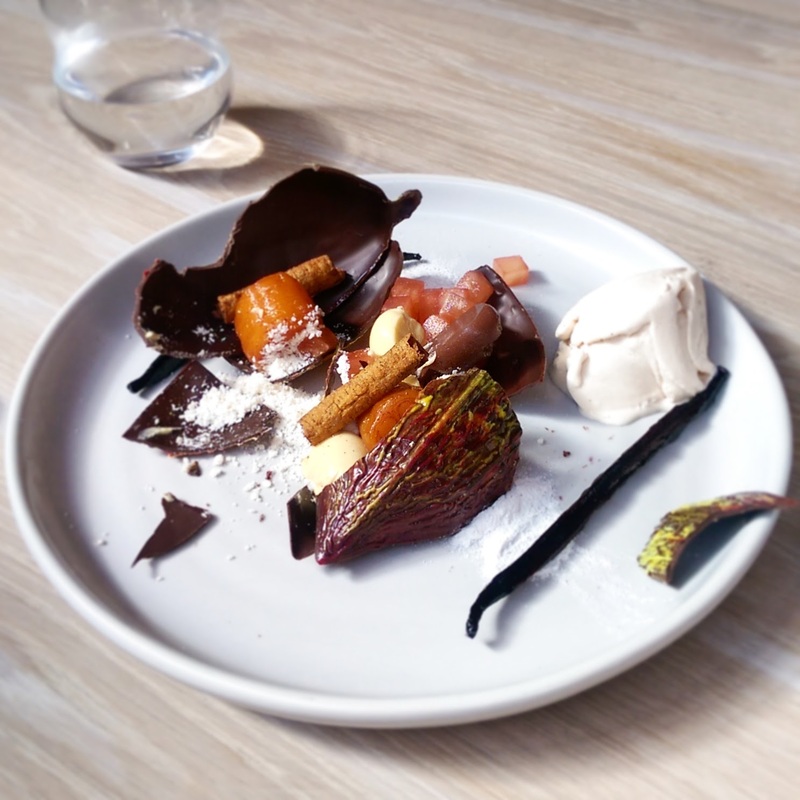 The chocolate is from a small plantation called Maralumi in Papua New Guinea and it tastes amazing. The fruit, the slight earthiness, and - I'm guessing - the tempering on site, made it totally enjoyable. In retrospect, I should have asked to doggybag it home. I thought the contents of the pod were less exciting - the green bananas looked beautifully golden but didn't offer much in the way of flavour. I can't figure out what the little red-tinged cubes of fruit were, but along with the white powder (also forgot what that was), they finally offered a little of the much-needed tartness to round off a long meal with lots of big, intense flavours. I'm guessing Lume is named after the Latin root lumen - light. It's kind of what they need - a lighter, more balanced touch, flavour-wise, and I could really fall in love with this place.